Washi Tape - by Stampin' Up! What is Washi Tape? It's fun, it's easy, and now it's on sale! Get ALL our Washi Tape (12 rolls total, even some that will be in the next holiday catalog) and save! Click HERE for more information and/or to order! You may have noticed in the new catalog that you could purchase a set of the *new* markers in our line in one bundle. But what if you already had the In-colors from last year? A lot of people explained to Stampin' Up! that they had those colors and would like to purchase only the colors that they didn't have. Stampin' Up! listened! From now until the end of October, you can buy the new marker kit OR any of the colors in it! When you are my Online Store, don't forget that there are 3 awesome greeting sets on sale for 25% off but only through Sunday! What do you get when you combine an envelope with a little fancy folding? This! If you are not yet on my mailing list, sign up in that box to the left and you will get the instructions on how to make this cute bag. If you are already on my list, then sign up again and you will receive the instructions, too. I love to organize my papers, inks, etc. Sometimes the first thing I try works great and sometimes it takes years to find a solution that works best. Over the years, I have stored my 12x12 papers in different ways - hanging folders, racks, and drawers, but recently I heard about this method and thought I would give it a try - 12x12 photo albums! I use one page protector for each print, so for a standard pack of Designer Series Paper with 2 each of 6 different double-sided papers, it takes 6 pages to hold them. I use each page protector to hold the full sheets as well as scraps so I never waste a full sheet of paper when I don't need to. I made up little tags with each name and the colors that are used. Depending on the number of papers you have, you may have multiple binders. Currently, I am using 2 binders because I only keep the current papers in them. I love paging through and seeing all the pretty patterns! Check out my Stampin' Up! store to see these wonderful new papers! Here is what is on the Display Board today: Zoo Babies - what a FUN set! And I'm loving the Birthday Basics Designer Series Paper: great colors! 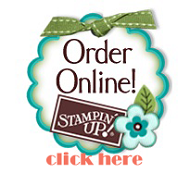 To order any of these supplies (or any other), check out my Stampin' Up! store. One of my favorite Stampin' Up! activities is my monthly Stamp Club. I feel like my Stamp Club ladies are each my BFF! And I am sure they feel the same way towards each other. It's more than a stamp class -its a get-together where we laugh and talk and share, and of course, create! I have heard more than once how important Stamp Club is to the members... husbands ask "What's for dinner" and they reply, "You're on your own - I'm going to Stamp Club!" It's a chance to get away and have some fun and add to your stamping supplies a little bit at a time. One of the benefits of Stamp Club is that you can participate in a monthly card swap. Each month, members sign up for the following month's swap. If someone has a lot going on, she may decide not to swap. That's what happened in June - typically, we have 8-10 swappers but in June, there were only 5. But they were great! You can see a little bit of each one above. If you want to see the full cards, be sure to follow me on Facebook as I will be showing the full cards over the next week or two. You sign up for 6-8 months (depending on how many members we have) and you agree to place a monthly order of at least $25 (plus shipping and tax). 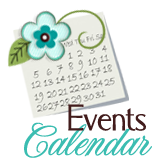 You are invited to a free class (club meeting) once a month on either the 2nd Monday or the day before (actual dates are listed on my calendar). Class attendence is optional. During one of the months of your membership, you will receive the hostess benefits (at least $25 in free product, but typically $50, and it could be more). You may attend a Stamp Club meeting once as a non-member to check it out. There is a $10 supply fee unless you place a qualifying order. If you choose to do this, please let me know at least 3 days in advance so that I have your material prepared. If you don't live nearby, Virtual Stamp Club may be a better option for you. Check out the details HERE. Let me know know if you want to check out Stamp Club - the next class dates are Sunday, July 7th at 3:00 OR Monday, July 8th at 6:00. Online Classes for A Buck Each! FOR PART TWO AND THE DOWNLOADABLE PDF, VISIT WWW.STAMPACADEMY.COM. Just click on the FREE VIDEOS link at the top of the page. Don't worry, it's free! *With the 2013-2014 Edition of Project Parade, you get 3 projects a week for 8 weeks plus a couple of bonus projects. If you want a ton MORE content, check out the Gold Membership option. There are several free videos available, so go check them out! If you live in the San Antonio area, you are invited to come to my Opportunity Hour this Monday, the 17th at 6:00 in my studio. Just email me for directions. It only takes an hour and if you like what you see, I can help you get started. You are also welcome to stay for our Team Meeting afterward where we share ideas (business and creative) and learn some new techniques. If you don't live nearby or just want to know more, click HERE for more information. As always, you can email me or call me at (210) 684-5800 for more information! Now that you have had a chance to look at the new catalog, what do you think? Isn't it fabulous? And the samples - OMG, how awesome are they? Did you know that you can look up what supplies where used for every sample in the catalog? Just click on the Catalog link at the top of my page and then click "Stampin' Supplies" under the picture of the catalog. It's a pdf file, so you can save it to your computer or tablet. Awesome, right? If you have ANY questions, just email me! Big Shot Magnetic Platform - No More Post-Its! It is recommended that you use flat, smooth cutting pads (113475) with the magnetic platform as it will work much better. If your cutting pads are worn or are curling, you may want to purchase a new set when you get your magnetic platform. Psst - I'll tell you a secret: Often, when Stampin' Up! comes out with a new product, the demand exceeds the supply and they run out. If you want the magnetic platform for YOUR Big Shot, don't wait too long - order today!